The country’s current financial state could drive foreign property investments up in the months to come, a recent Sydney Morning Herald online post (3/11/2012) announced. The recent dip of the Australian dollar (AUD) value has practically opened the door for US property investments as local properties are now priced way higher than their US equivalents, the report said, prompting local home improvement company owner Jason Graham to underscore the value of cost-effective enhancements in getting investors to stick with the local property offers despite the competition. The recent Sydney Morning Herald online news (3/12/2012) reported the likelihood of US property market swaying investors as the Australian dollar (AUD) value continues to suffer downturns and the local property now costing investors up to fifteen times more than what a similar US property would register, prompting James Graham, owner of the locally based home improvement company BlockoutBlinds, to reiterate the importance of well-placed home furnishings and enhancements in boosting the value of a property. 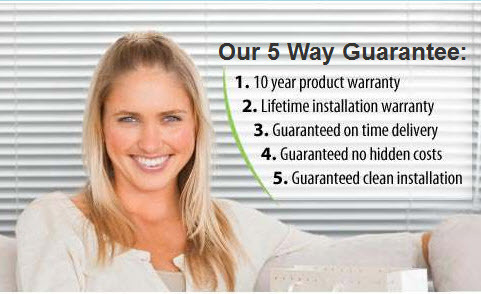 “Nicely fitted panel blinds on bedroom windows, for instance, could make a house more cosy and elegant-looking. These could do wonders in terms of getting them to really feel ‘at home,’ which, in fact, is often what people are after when they go looking for a property they could invest in,” Graham explains. “The blinds could also prove effective in getting potential buyers to appreciate the lighting and ambience,” he observes. From years of experience in the blinds manufacturing, installation and building industries, Graham has gained valuable insights into the many different aspects of home improvement and how people really view them. With his knowledge in window shutters, furnishings and blinds, he was soon able to create his own line of superior-quality products that offer outstanding performance and also build Blockout Blinds from the ground up in the process. Taking cue from this observation, he was able to lead Blockout Blinds into becoming an industry leader when it comes to warranties. The industry standard has been either 1 or 3 years. Blockout Blinds is “...Australia’s first blind company to provide a 5-way guarantee, which includes a 10-year warranty for our customers’ complete satisfaction and peace of mind,” Graham intoned.